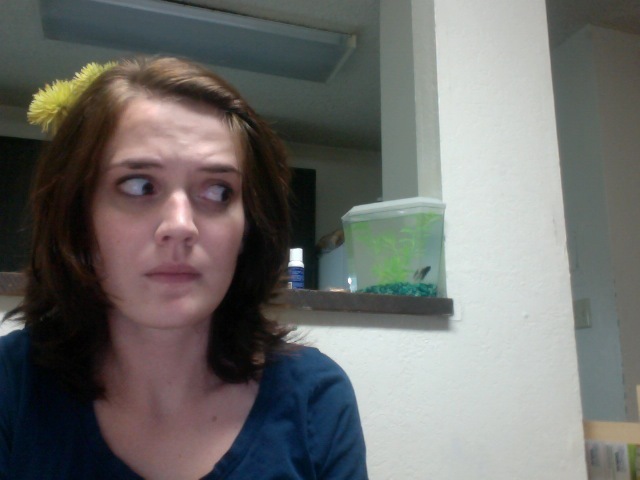 I’m petsitting a fish. Well, technically my roommate is petsitting the fish, but she’s been gone every weekend for the last month, so on weekends and holidays, Mojo’s care falls to me. I’m not big on fish, and this arrangement makes me feel like a divorced parent with an embarrassingly ugly child. I’m pretty sure my dislike for all things scaly stems from a scarring high school experience with a betta fish named Stu Jorge. I had him for all of 24 hours before he died in the middle of the 2007 Oscars, probably due to the intense hatred we shared for Leonardo DiCaprio. In our brief time together, Stu Jorge made me realize something: Fish are terrible people. And so is Leo. Why does he always look so smug? 1) Fish are condescending. Dogs are always excited to see you, and cats occasionally show interest in your existence. Fish are completely indifferent. Even when you feed them, they could give a damn. When you walk away, they casually float over to the food, let it bump their lips a few times, then disdainfully eat it. It’s like they’re saying, “What’s this? Oh… food? If I must.” They make it exceedingly clear that they do not care if you live or die. 2) Fish are bad listeners. I’ve been having the weirdest week and since my roommates are gone, there hasn’t been anyone around to hear me vent. I’ve been baring my soul to Mojo while I clean the kitchen. I don’t know why– he doesn’t even have external ears and it’s not like he’d use them if he did. I once pet-sat two iguanas who were better listeners than him. At least they’d hiss and hide from me when I’d talk about my problems. Mojo can make me feel completely insignificant with one tail flick… but he also knows all my secrets. I’m very vulnerable. 3) Fish are frighteningly good at playing dead. Mojo likes to stay very still in the upper corner of his tank, where it’s hard to tell if he’s upside down or not. The extent of my fish knowledge is this: upside down and not moving = bad. Each time I walk into the kitchen, I glance at him, see him in the corner, and then rush over to make sure his gills are flapping. The other day he was so still that I poked him with a net to see if rigor mortis had set in and then he started spastically wriggling around and splashing. I jumped about a foot in the air and splashed water down my shirt. He’s toying with me. I know he is. 4) Everyone in the world thinks they’re a fish expert. I can’t invite anyone into the apartment without someone commenting about the state of Mojo’s care. I’ve heard the same thing about parenting, so if it’s anything like this, I’m never procreating. Literally every single guest has had Mojo advice. My roommate says his tank doesn’t need to be cleaned for a while, but when he plays dead like that he freaks people out and suddenly I’m “a bad petsitter” with “no regard for other people’s animals” and “a weird vendetta against this fish”. All of that is true in Mojo’s case, but he started it. 5) Fish smell. First I thought it was the kitchen, so I cleaned everything and threw out the expired stuff in the fridge. I took out the trash, I checked for mold in the cabinets, and then I started looking around the rest of our apartment for the culprit. I finally figured out it was the fish. I don’t know how one tiny fish can smell so awful, but I’m willing to bet it’s because he’s a jerk. He’s just sitting in that tank, plotting mind games and pooping everywhere. It’s enough to make a person a little crazy. 6) Fish make you feel bad about yourself. Today Mojo was swimming around more actively than usual, swishing his tail and nudging the gravel at the bottom of the tank and being almost (dare I say it?) cute. I came closer to watch him play and admire his fins. I should have known it was a trap. As soon as I bent down to look at him, he quickly turned, looked straight into my eyes, and opened his mouth in what I can only describe as a silent fish scream. Then he shut his mouth and swam casually away like he hadn’t just telepathically called me grotesque and unlovable. Oh God. I just turned around and he’s staring right at me, watching everything I do. He knows! He knows what I’ve been saying about him! I’m afraid to close my eyes. I’m afraid to open them. I’m going to need a bigger boat. I have had fish all my life but I have never named them. If you don’t name then they can’t hurt you. Ah-ha! There’s the secret! Except I think an anonymous fish would make me even more nervous, because then there would be no way to tell people who did it in a note if it ever killed me. I suggest you make a note already, just in case! I swore never to get a cat, but now I’m starting to think this fish deserves one. Is it mean to purchase another pet out of spite? I would still love it, I would just love it more because it’s a spite-cat. It actually freaks me out a little more to think fish might enjoy the Twilight Zone. haha interesting post! insert LOL! Ha. Thank you very much for your LOL-ing. I really liked Finding Nemo, actually, but now everyone compares me to the little girl who tortures fish, which probably isn’t good. “I’m not big on fish, and this arrangement makes me feel like a divorced parent with an embarrassingly ugly child.” — haha! This is one of my new favorite lists. I’ve never been fond of fish, either. I don’t know what it is about fish. Maybe things need to be warm-blooded for me to feel any kind of affection for them, or maybe they just need to not be jerks. What kind of betta fish has an attitude? I ask you! Ha! We have a fish we “inherited” and your post really helps me better understand him. All I know is he makes me uncomfortable. Thanks to your brilliant analysis, now I know why. They really are impressive at making you feel weird. Maybe it’s the whole fish-can’t-blink thing. Maybe it’s the scales. Maybe they just hate everyone. Whatever it is, I’m not a fan. That’s true. You and I both know that fish can be deadly. I can’t believe that I failed to mention that! Is your brother still pro-fish? On an unrelated note, I MISS YO’ FACE. I love this post, and I totally agree about fish, if not Leonardo DiCaprio. This part especially got me giggling: “I would, however, definitely characterize my feelings for him as clammy. I’m a cold fish towards all fish…” Ha! You’re hilarious! Thank you! I hope we can get past our Leonardo DiCaprio differences and work with the Fish Are Gross thing. 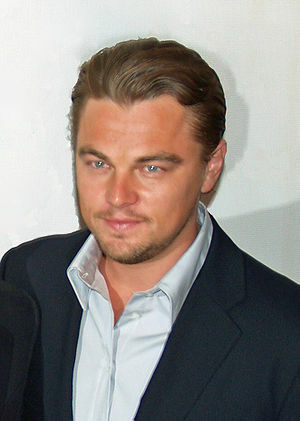 If it helps, I didn’t mind Leo in Inception. Ha. You wouldn’t say that if you met Mojo. Mojo does that a lot. I’m so glad I moved out of Walnut Ridge so I don’t have to stare at that fish while I’m eating ANYMORE. I completely understand. My fish Pepper is bright red and gorgeous, no I mean gorgeous for a fish… An elegant swimmer too… Anyway he’s always swimming around up and down in his tank, situated on the hutch of my desk. But when I’m not looking he’ll get really still and float looking at me intelligently. The first time it happened I thought it was my imagination, but every day he gives me this completely knowing, intelligent look before going back to his fishy business. And I’ve had staring contests with this guy. I’m always the loser, but so what? My fish will float at eye level and stare directly into my eyes or sometimes head on. It’s crazy. So yeah, he stares directly into my soul and knows. Who’s really in the cage? He just looks at me like he is resigned to being owned by some ugly glasses girl who doesn’t brush her hair half the week. He knows things and he doesn’t judge. It’s the oddest thing. And I swear I can tell he shows off when he knows I’m watching him. He’ll do little swirls and loops in the water when he knows I’m looking. And damn, this fish is gorgeous. But what does this say about me and my dependent personality? If I get this attached to a fish, what will happen if I ever get a turtle? LOL Or a dog. Or something a even higher up on the food chain…..